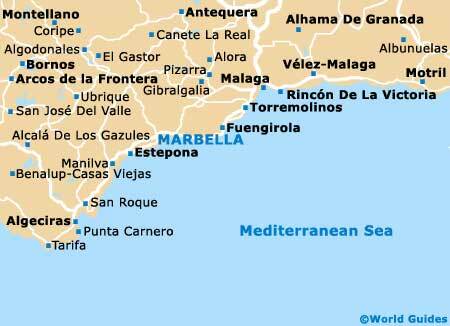 Marbella is one of Spain's most popular holiday resorts along the Costa del Sol. However, there is certainly much more to this beautiful sunny city than simply sand and yachts. The history of Marbella is known to extend back to the 7th century BC, with major developments being made during the Roman and Arab periods of rule. A stroll through the Old Town reveals the rich heritage that Marbella has enjoyed over the centuries. Though recent archaeological discoveries suggest that Phoenician and Punic settlements were made around Rio Real in the 7th century BC, most people consider the history of Marbella to begin in 206 BC. This was when the Romans founded Salduba, leaving behind many historic sites around the city such as the Guadalmina Thermal Baths and also the Rio Verde villa. The richest parts of Marbella history come from the period of Arab rule from 711 AD until 1485. During this time, the Moors built the city walls, a citadel and further fortifications to defend the town against potential coastal invaders. It was one of the last towns in Spain to pass from the Moors to the Christians in 1485, surprisingly without any bloodshed. The Catholic Monarchs from Castile who took possession of Marbella soon made it the capital of the region. During the 1500s, the Plaza de los Naranjos was built following typical Castilian city design, along with many buildings along its perimeter. This central plaza was constructed over the site of the earlier Arab town centre, meaning that few reminders of the long Moorish era remain. When iron ore was discovered nearby, Marbella became the site for the blast furnaces and smelters that processed the metal. At its peak in the mid-1800s, Marbella was producing a staggering three quarters of Spain's cast iron. When this industry abruptly collapsed, the town had to return to traditional agriculture, including the growing of citrus fruits. At the beginning of the 20th century, Marbella began to realise the potential that its town and coastal setting offered for tourism. The first hotels were built - the Mall (1918) and the Miramar (1934). The Spanish Civil War, which began in 1936, put a quick halt to any hopes of tourism in Marbella. The town subsequently went through the painful social changes between the nationalists and republicans that the rest of Spain endured. When things finally settled down after WWII, Marbella's history kicked back into gear with a new impetus towards wealthy and powerful holiday makers. The Marbella Club opened its doors in 1954, hosting celebrities, nobility and the wealthy. This set the trend towards catering to the rich elite instead of the masses. Today, Marbella is accessible to everyone, although it retains a distinctly blue-blood atmosphere.